Dot + Pop Renovation/DIY Blog - a mix of top tips for renovating, DIY examples and hacks and real renovations. Nowadays it’s easy to transform even the blandest of areas into a real show stopper given the amazing array of tiles to choose from. However, tiling mistakes can be a costly, and sometimes hard to fix, mistake if you choose the wrong tiles or have trouble when it comes to installation. Expert renovators Michael and Carlene Duffy certainly have learnt a lesson or two when it comes to tiles, having made their mark on the record-rating season of Channel Nine’s, The Block and the inaugural season of Reno Rumble. The pair, who now run their own home renovation and design consultancy Cedar & Suede, are currently working with Amber Tiles sharing their savvy DIY and tiling design tips for their Love My Amber campaign. It goes without saying that if your house is predominantly a beach-inspired vision in white and blue, then a funky, bohemian vibe in your bathroom may look out of keeping. Tiles should always be chosen in relation to an overall decor scheme. Also make sure other elements of the bathroom itself such as fixtures and fittings work well with the tiles. Take in to consideration colours of bench-tops, cupboards and painted surfaces and choose one hero feature such as a tiled feature wall. Running out of tiles and then scrambling around trying to find more can be an absolute nightmare! It can also drag out labour costs, so make sure you calculate accurately before you start. If you’re not entirely sure, it’s a good idea to buy more tiles than you think you need. If not, the tile colours can vary from batch to batch or even become discontinued if you have to hunt more down. A good rule of thumb is to buy around 15 per cent more than you think you’ll use. This ensures against breakages, miscalculations, and difficulties in cutting to size. You can also keep spare tiles in reserve in case any tiles become cracked in the future. Whilst using the same types of tiles in every room can be a little boring, too many varieties in the one space can cause visual chaos! I’d advise to limit yourself to no more than three variations per room. For bathroom walls, larger tiles are a good choice as they use less grout, making them easier to clean. Smaller tiles such as hexagon, mosaic and subway tiles also work well for feature walls and niches. Make life easy and choose a tile size and layout pattern that suits the dimensions of the various areas. Large tiles are currently on trend, but just remember that sometimes if it’s way too large it can make it difficult for the tiler to achieve adequate fall in the shower. Elsewhere in the home, choosing tiles that aren’t a good fit for the area can also result in odd sized cut tiles and slivers around edges and corners which can look messy. On the other hand in hard working areas such as the bathroom, you don’t want too small a tile, otherwise all the grout cleaning may drive you mad. Whilst many varieties of tiles are easy to clean, some natural stone options such as marble and bluestone require sealing and should be treated with care, which is an important consideration before purchasing. Tiling alongside other durable materials including glass, glass block, terrazzo, concrete, stainless steel, and tough hardwoods will also cut down on the amount of room maintenance in later years. When building, buying or renovating a home, the kitchen will always be the heart and social hub of the home. The kitchen brings people together, it’s a place where we make memories, enjoy family gatherings and conversations. 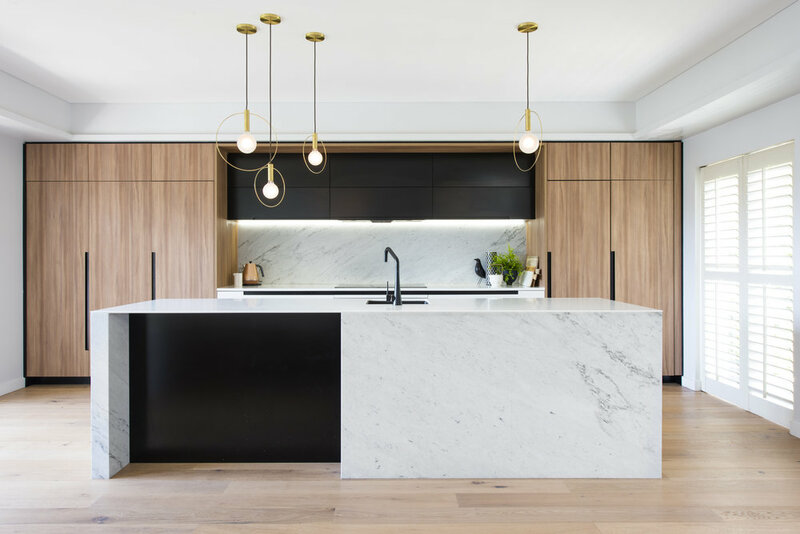 There is no doubt that people love to socialise over food and cooking in the home environment, however there is always something that’s intruding on our gatherings – a noisy rangehood. And here to save the day and our kitchen island conversations is Schweigen. Schweigen is the leading brand of creating solutions for noisy range hoods and kitchen appliances. They not only make quiet range hoods and fans, they make silent ones, and they do this by placing the motor outside of the home. Schweigen has been mastering the art of the silent rangehood for over 10 years, they are Australian engineered and German made, making them the leading brand in the Australian market. Schweigen’s exciting silent, German engineered technology is not just made for the kitchen, they also make silent multi-purpose exhaust fans that are able to be installed in the bathroom, or additionally a pantry, laundry, garage or cellar. Retailing at $449, the BR500 silent exhaust fan is Australia’s most powerful and energy efficient multi-purpose exhaust, whisking away humidity and odours in seconds. Enquire about your nearest store here or on 1300 881 693. It’s time - House of Home are pleased to announce the winners of the 2018 Bathware Excellence Awards and we LOVE who you, the public have voted as your winners! This year’s awards have been very exciting with thousands of votes from Australian bathware enthusiasts. The results for all of the categories were incredibly close which reflects the unique design qualities that each nominee offers. Dorf’s bold mixed metals range is leading the way in bathware innovation – and right now, there’s no hotter trend in interiors than mixed metals. For some time, various metals such as silver, gold and rose gold have often been paired with “flat hues” to create complementary schemes. However, in the last few years, designers have started to think outside of the box in order to come up with new, fresh design aesthetics, pairing differing metals together as they discard previous design “rules”. According to experts, this new mixed metals’ trend will be one of the hottest elements in interiors for 2018 and is here to stay. Think rose gold vases on top of silver platters, brass hooks alongside silver edged picture frames, and even differing finishes combined into the one item such as a gold and silver mirror frame. The Dorf range features a wide variety of tapware in the most progressive mixed metals finishes - such as black/rose gold, black/chrome, white/chrome, black/gold and black/copper. Dorf creates minimalist and cutting-edge products that strike the perfect balance between form and function and has established a reputation built upon innovative thinking and creative functional designs. Behind Dorf’s stylish aesthetics are leading edge technologies that have enhanced the functionality of all Dorf products.